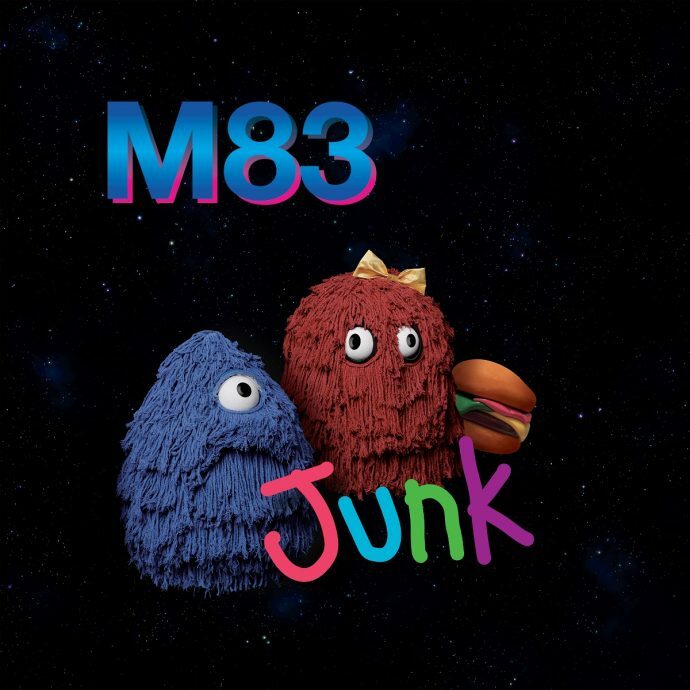 M83, the French electronic band that brought us the undeniably euphoric song “Midnight City” are back with their seventh studio album, Junk. Song titles like “Moon Crystal”, “Solitude”, and “The Wizard” betray the band’s otherworldly mindset – this is certainly not the kind of record for anyone operating in this dimension. This is a clear disadvantage, however, as most of the tracks sound like they would be perfect as elevator music. The album is a slow-moving, steady crawl toward no discernible end goal. They’re no stranger to this type of sound, but it packs far less of a punch than any of their previous efforts. For an electronic band, the scattered introduction of horns and violins throughout the record does little to hold the listener’s attention. “Moon Crystal” and “The Wizard” contain no lyrics whatsoever, but of course, neither did “Midnight City” and that song continues to be a very popular and recognizable high-energy hit. The aforementioned only succeed in putting you to sleep. It’s not all dismal, though – “Laser Gun” is one of the catchier songs on the album, thanks to Mai Lan’s compelling vocals. She lends her talent to “Go!” and “Atlantique Sud” as well, and Beck even makes a guest appearance on “Time Wind”. “Road Blaster” is the tenth track on Junk, and it’s probably the most classic example of M83’s sound. Upbeat and synth-y, it’s what longtime fans will be looking for, although they’ll be disappointed that the rest of the record doesn’t live up to that representation. Indeed, M83 have played it entirely safe with this release, and it definitely shows. Having been in the game for well over fifteen years, it may be time to cut them some slack, but it’s hard to excuse an album like this one. Trading out English lyrics for French ones on a couple of songs fails to make things as interesting as we’d hope, but hey, at least they haven’t forgotten their roots. M83 is one of the quintessential indie-electronic bands of the twenty-first century, though you wouldn’t know it by listening to Junk. While it’s only fifteen tracks long, it feels to be at least twice that. After all this time, it’s glaringly obvious that “Midnight City” was this band’s peak. It’s tempting to make a joke about the album’s namesake, but there’s truly no need – just take a listen and allow the music to speak for itself.